Do you have ants in your pants when the seasons begin to change? Us too! When the clocks go back and we’ve waved goodbye to those long, drawn out summer nights, we want our decor to reflect the magic and the coziness of the winter. 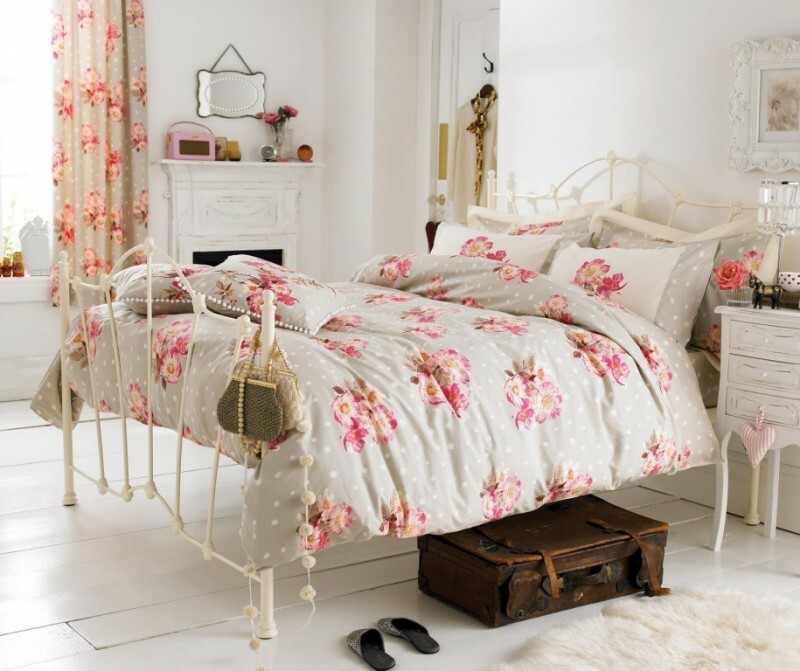 So what are some of the top trends for bedroom decor this season? Who says winter has to be all doom and gloom? Although florals are most commonly associated with the summer months, there are plenty of bulbs that flower over the winter, including begonias and snowdrops. If you’re prone to a touch of the winter blues, go floral this year! Dark wood furniture is ideal for winter, but there’s no need to purchase new wardrobes. Instead, you can always bring that ‘log cabin’ feel into your bedroom with a dark rug, some wenge-effect accents, and dark wood picture frames on the wall. Fake deer head optional! One of the things we enjoy the most about the winter is those warm, textured, snug jumpers, so why not bring the comfort of a thick knit into the bedroom? 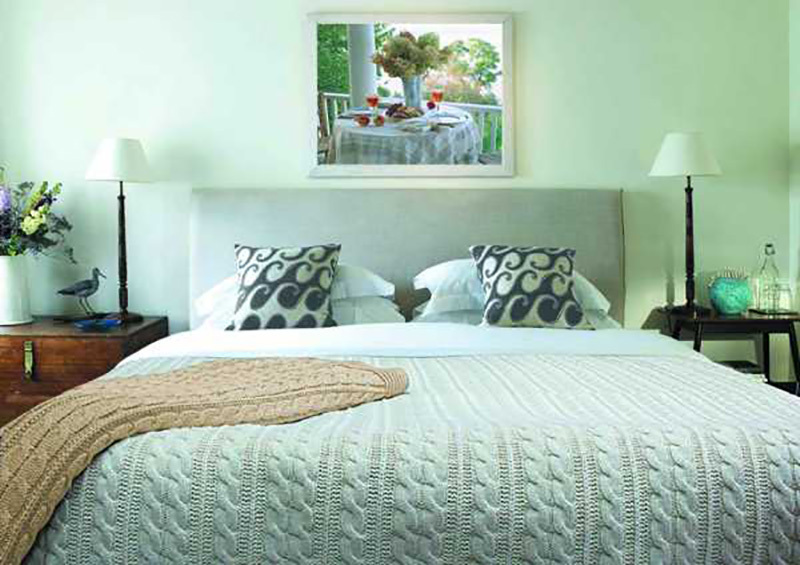 Whether it’s knit-inspired blankets or crocheted cushions, a bit of texture to your bedroom is one way to add a bit of ‘oomph’! The gift of gold is, of course, a Christmas tradition, and it’s perfect for brightening up your bedroom during the dull, dark winter months. Too much gold can sometimes feel a little overwhelming, so why not consider gold accents, or even a gold feature wall in your bedroom? When those cold winter nights set in, there’s nothing more comforting than snuggling up in a warm, cosy corner and it’s easy to transform your bedroom into a snug haven. 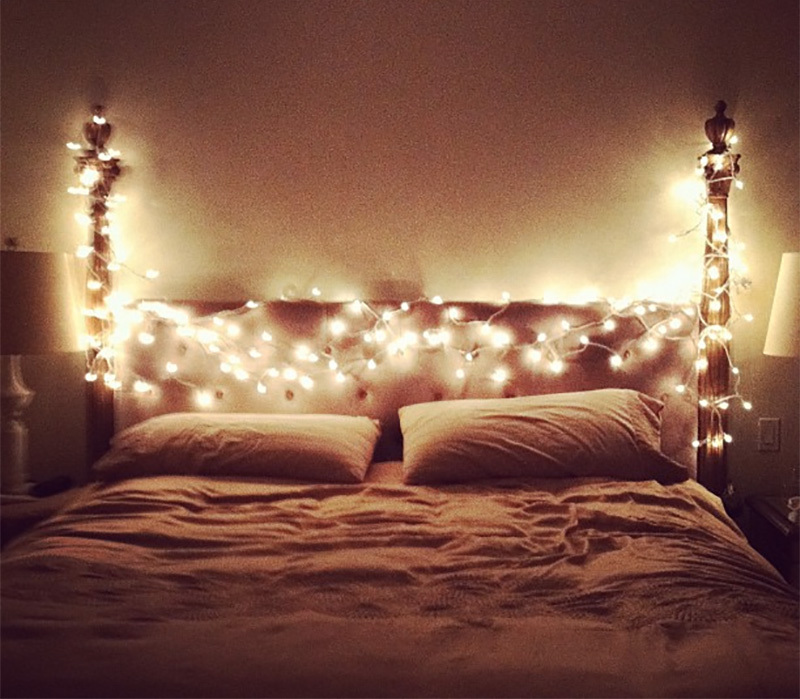 A few fairy lights draped around the furniture and some light netting to create a ‘hidey hole’ feel is all you need! Warm and cosy not really your thing? 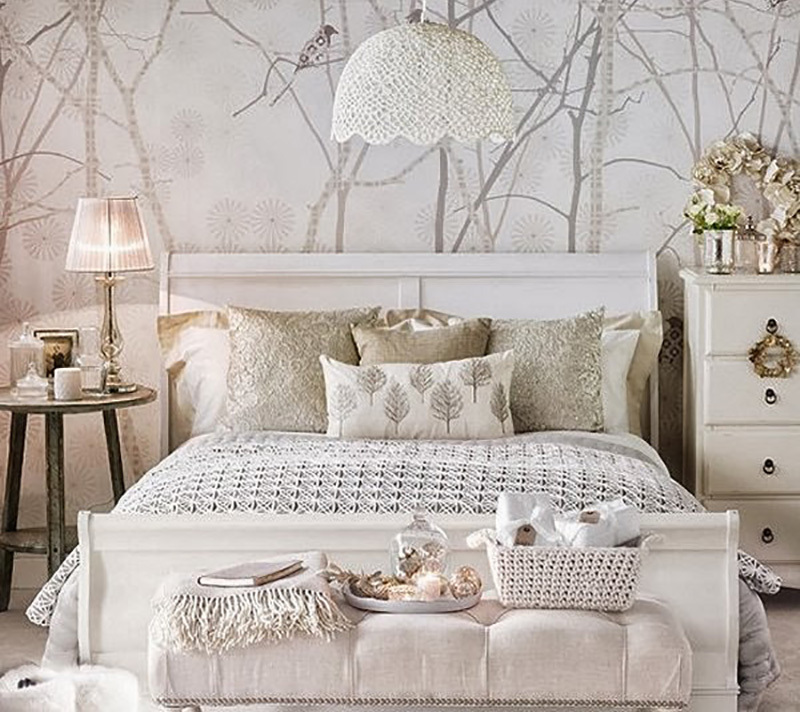 Then how about transforming your bedroom into a cool, glistening ice palace – it’s clean, simple and fresh! When decorating, stick to basic whites, silvers and different shades of blue to create a clean, frosty look throughout the bedroom. Winter is one of the most diverse of seasons when it comes to colours and trends. From icy blues and silvers to warming reds and greens, winter is a season where anything goes. It’s time to get creative and put your own magical spin on the season with a simple yet effective bedroom transformation.